Pyresample supports basic integration with Cartopy (http://scitools.org.uk/cartopy/). Pyresample has some convenience functions for displaying data from a single channel. The function plot.show_quicklook shows a Cartopy generated image of a dataset for a specified AreaDefinition. The function plot.save_quicklook saves the Cartopy image directly to file. The data passed to the functions is a 2D array matching the AreaDefinition. To make more advanced plots than the preconfigured quicklooks Cartopy can be used to work with mapped data alongside matplotlib. The below code is based on this Cartopy example. Pyresample allows any AreaDefinition to be converted to a Cartopy CRS as long as Cartopy can represent the projection. Once an AreaDefinition is converted to a CRS object it can be used like any other Cartopy CRS object. Basemap is no longer maintained. Cartopy (see above) should be used instead. 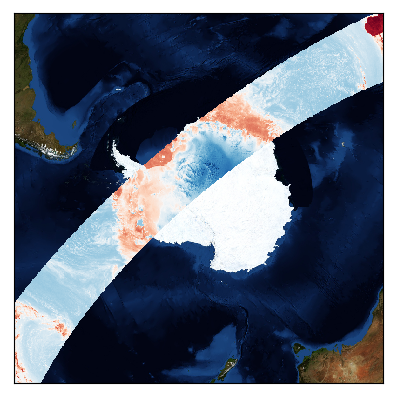 Basemap does not support Matplotlib 3.0+ either. 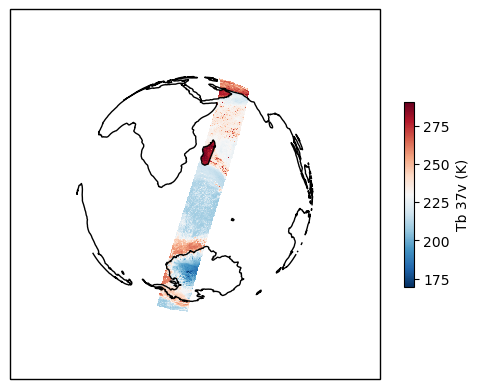 In order to make more advanced plots than the preconfigured quicklooks a Basemap object can be generated from an AreaDefinition using the plot.area_def2basemap(area_def, **kwargs) function. Any keyword arguments (not concerning the projection) passed to plot.area_def2basemap will be passed directly to the Basemap initialization. 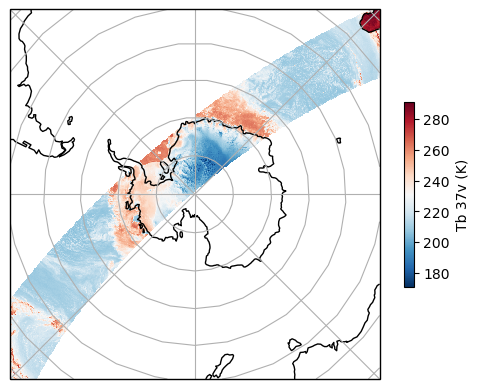 For more information on how to plot with Basemap please refer to the Basemap and matplotlib documentation.